On a windy Monday evening I meet two young women in De Smoeshaan, behind Leidseplein. 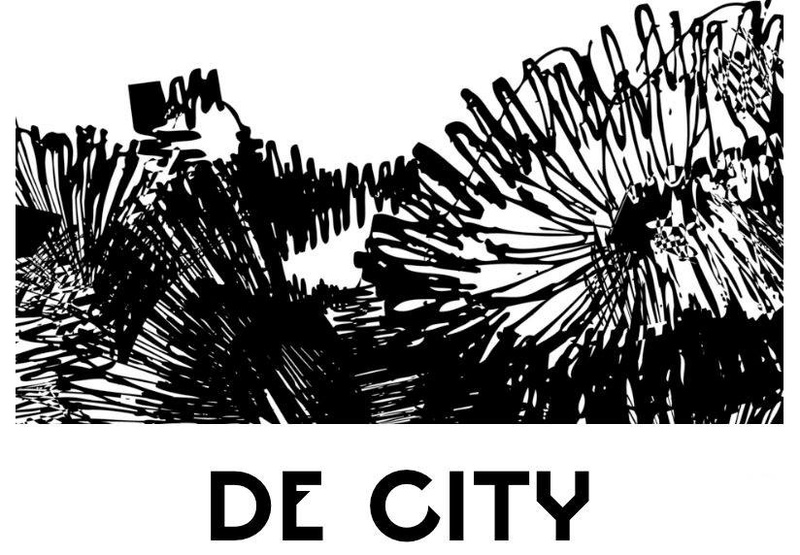 We’re here to talk about De City, their theatre performance which is having a comeback in Het Compagnietheater. Director Marijke de Kerf and actress Naomi Velissariou both graduated form the Toneelacademie Maastricht. The brunettes apparently haven’t seen each other for a while; ‘How are you?! I’m fine and you?’ are they chitchatting while smoking a cigarette. After we sit down again De Kerf asks me firmly but friendly: ‘So, shall we begin?’. 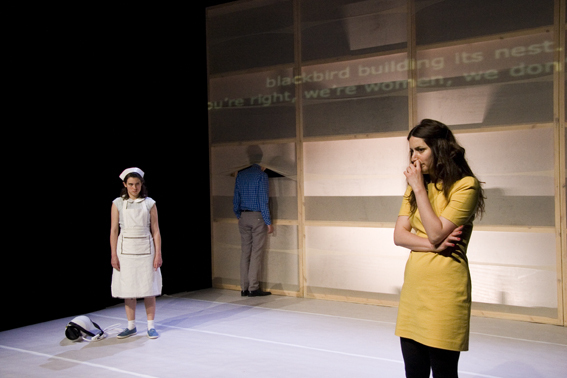 Of course, tell me what’s the theatre piece about? I read somewhere that language is very important in the work of the British writer of De City; Martin Crimp. Is that also why you chose it? I say goodbye to the two enthusiastic storytellers in the bit smudgy place behind their white wine and a beer. Even if you’re not a fan of theatre I would say this one is worth to watch and solve the mysteries about the bit lunatic characters even De Kerf and Velissariou can’t (or won’t) explain.